Hey everyone, Vanessa here from Our Thrifty Ideas. I am so excited to sharing a fun Halloween project here on See Vanessa Craft. At our house, games are a huge part of our family. We love to all gather around and play together before bed, but it can be difficult with different ages and abilities. So we’ve found that one of our favorite games to play together is BINGO. It’s easy and fun for everyone to play, and even the youngest fully understands how to play it. 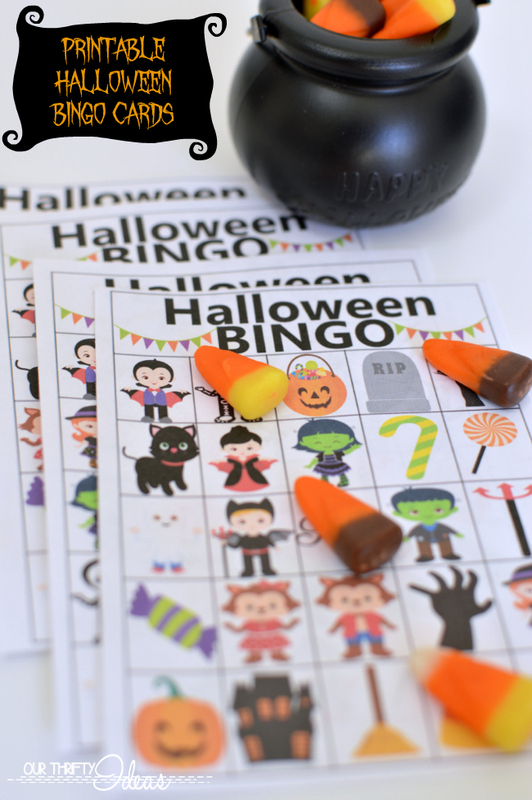 Last year I made a BINGO game for Halloween with different trick or treating characters. My kids loved it, and it was also perfect to use at at the school’s Halloween party. We set up a station for 5 kids, and each one took turns being the caller. We’ve used all different things as our markers. Sometimes we use candy (candy corn, colored M&Ms, Smarties etc) but other times we’ll use things like cut out black pieces of paper, buttons, etc. The free printable has 4 differing boards and a call sheet. Just print it on some cardstock paper so that it’ll hold up with little hands handling it. Then cut out the call cards along the black lines. Now you are ready to play!!! 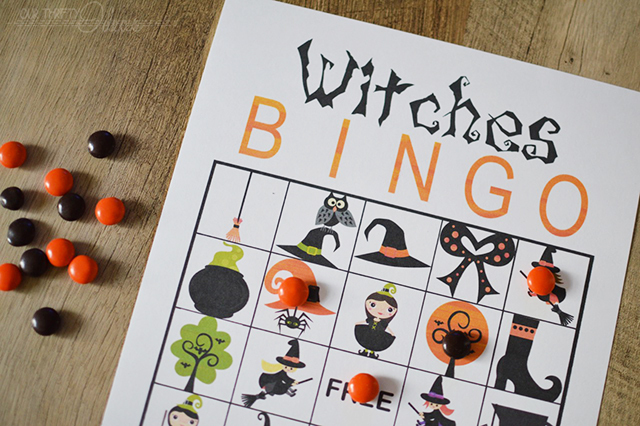 Make sure to also check out my Halloween BINGO from last year. Your family and kids are sure to love both of them! Also make sure to print off my Halloween countdown chain. The kids will love pulling off a link each day in their anticipation of the big day! Also, if you need a fun idea for your kids to hand out to their class that isn’t candy, these fun pencils will do just the trick! !